We're pretty used to hearables like the Bragi Dash (pictured above) or Samsung Gear IconX monitoring heart rate and feeding back fitness metrics, but what about one that keeps track of your brain waves? Students from the Centre for Neurosciences at the Indian Institute of Science are doing exactly that and are in the midst of developing a hearable that picks up distress signals from the brain. Called Neurobuds, the device is basically an electroencephalogram (EEG) complete with electrodes and sensors. While in the ear, the earbuds detect waves that are analyzed by machine learning algorithms to figure out whether you're in a risky situation. This enables a quicker way to send out an SOS alert to a server making the process hands free in case your mobile device isn't within reach. In addition to the panic detection, the earbuds promise sleep detection and general monitoring of mental state. Further details on the latter feature haven't been discussed. 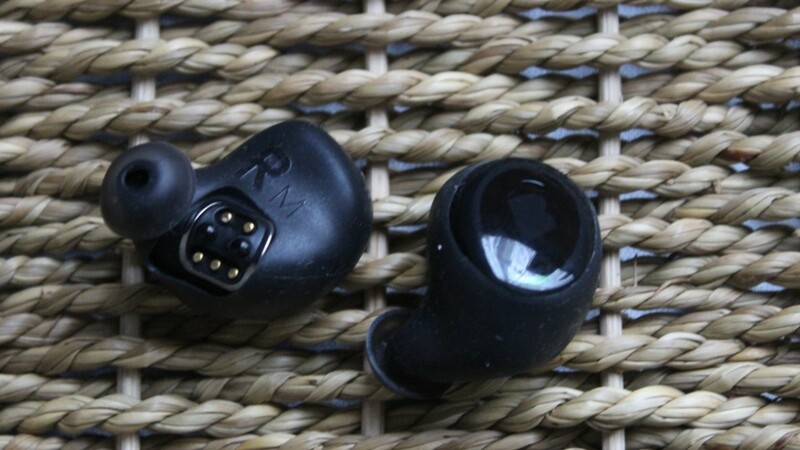 According the the Neurobuds site, the current form doesn't require batteries to recharge and the design will remain "low-cost." The team developed the first prototype using 3D printing, carbon nanotubes and rapid prototyping boards in a span of three months. Since then, it has gone through four iterations where Neurobuds engineer George Mathew said the biggest hurdle was stimulating panic. After much testing to weed out false positives, the team created a solid prototype and is now working on shrinking the form factor. That means we probably won't see it for awhile but it's still worth keeping up with through the development process. Many other panic devices have taken various routes like the Nimb ring or the Leaf Wearable necklace, in addition to the SOS app on the Apple Watch Series 2 - but none have utilized brain waves before like the Neurobuds. It's still yet to be tested but regardless, we're interested to see how it turns out.